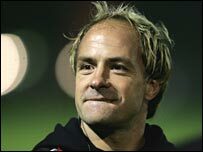 Headed back to France and is now coach at Brive. Now backs coach at University of Queensland Rugby Club. Now runs a property business in Spain. 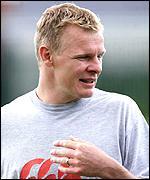 Spike played for the London Irish B side before the war and was invited to play for the 1st XV, but then war broke out. He died in February 2002. Managing Director at legal recruitment firm Blue Pencil. Has been LI Chairman and board member until recently. works for Sun International Leisure.